Exercise is the best thing you can do for your heart—but you can’t exercise all day long (and really, probably shouldn’t for more than an hour or two). During the rest of the day, it’s important to support your heart and body with good habits—calm breaks, a good night’s rest, good nutrition. And next to exercise, nutrition really is key. Not just eating lots of leafy greens and vibrant fruit, but maybe some extra antioxidants for the times you indulge in a less-than-healthy snack. 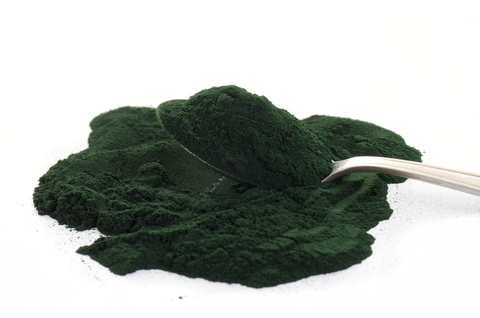 Spirulina can be a useful addition to a heart healthy diet. It’s another good source of antioxidants (particularly phycocyanin, which colors it green and has strong anti-inflammatory effects). Those antioxidants may even help with your exercise, with some studies suggesting spirulina helps both strength and endurance. (Exercise results in oxidative damage, of course there’s a useful reason your body does it, but with our highly inflammatory diets, helping to keep it under control is a good idea!). It’s also been shown to lower LDL (bad) cholesterol and raise HDL (good) cholesterol (specifically, one study measured the effects in people with diabetes). Even blood pressure may be lowered by Spirulina, with at least one study showing that a higher dose worked to lower blood pressure. While more studies are needed (more studies are always needed), there’s a growing pile of evidence on the benefits of spirulina. No surprise, since it’s a true superfood with tons of vitamins and minerals (including iron), enzymes, prebiotics, and much more. Heart health is just one of many reasons to add spirulina into your diet (try an easy to take supplement like Blu-Lina Organic Spirulina).